These shirts were once exclusively sold at the San Diego and New York Comic-Cons, but are now available for order! Limited quantities and sizes available – BLACK IS SOLD OUT. 96% cotton, 4% spandex. 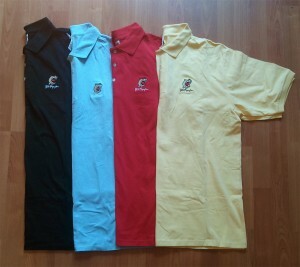 Polo shirts featuring Bill's iconic "Dog" character.